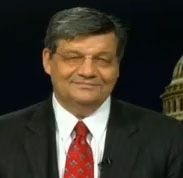 OpEdNews published on an exclusive basis April 9 the following report by Justice Integrity Project editor Andrew Kreig previewing a filing to be made the following day demanding a criminal grand jury investigation of evidence regarding the 9/11 attacks. That column achieved a remarkable 2,100 "Likes" on Facebook, along with more than 14,000 page views, as of this writing on April 12. The column is reprinted below, with slight updates to reflect that the petition was filed. Other coverage is shown in an appendix at bottom. 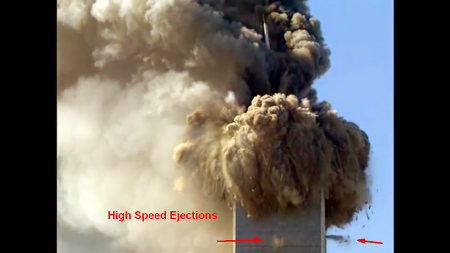 The WTC Tower immediately below illustrates "ejections" or "squibs" marked by arrows that, according to the petition-filers, provide a small part of the evidence of pre-placed explosive materials causing the collapses. So does molten steel, they say, which most logically could come from thermite or thermate, not from airplane fuel. The photo below at right shows examples of molten steel. A federal grand jury should investigate the collapses of the World Trade Center Twin Towers during the 9/11 attacks, as well as WTC 7, according to a petition that an expert lawyers group filed on April 10 in New York City's federal court. The petition's executive summary and full text are now posted on the Lawyers' Committee website. The lawyers, whose petition is supported by numerous 9/11 family members of victims and first responders, detailed evidence (see below) that they say requires a criminal investigation by prosecutors in the office led by Interim U.S. Attorney Geoffrey S. Berman (shown below, at left). Petitioners conducted a press conference at 1 p.m. Tuesday on the steps of New York's City Hall in Manhattan. Those who want to add their names to the petition can sign up online here. New names will be displayed on the next filing, which will supplement the one filed this week. David Meiswinkle of the Lawyers’ Committee for 9/11 Inquiry at a press conference on the steps of New York City Hall holds the petition just filed on April 10 with the U.S. Attorney for the Southern District of New York. At far right is Robert McIlvaine, who says an explosion killed his son Bob, age 26. That article included links to the major U.S. government reports on the 9/11 attacks, as well as to an article by Europhysics News 15 Years Later: On the physics of high-rise building collapses. The Europhysics report challenged U.S. government findings that the skyscrapers collapsed because of fire. The four co-authors noted that no steel-framed skyscrapers in world history have ever collapsed from fire. More generally, these researchers have summarized studies by technical experts who have argued that the three steel-framed WTC towers could not have fallen in place because of airplane crashes and related fires. Professional critics of the official explanations of the buildings' collapses include the now nearly three thousand licensed architects and engineers who are members of AE911Truth. Also, Ph.D. graduate students at the University of Alaska at Fairbanks for years have conducted technical studies under the leadership of the chairman of its Department of Engineering and Mines, Dr. J. Leroy Hulsey, PE, SE, who reported on interim findings in a 2016 video. That office was led in the late 1980s by Rudolph Giuliani (shown at right in a file), who went on to win election as New York's mayor for two terms, ending at the end of December 2001. 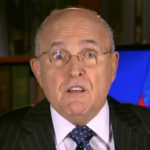 Giuliani has kept a high profile opposing terrorists since then, including a 2004 presidential candidacy and strong support for Trump's 2016 campaign. Since 2016, Giuliani has led the counter-terrorism practice of the law firm Greenberg Traurig. Berman, the interim U.S. Attorney who will receive the attorneys' petition signed by 9/11 family members, was a law partner of Giuliani's from 2016 until his Trump appointment in January. Berman must win U.S. Senate confirmation to receive the prestigious appointment beyond interim status. Prodded especially by family members of 9/11 victims, Congress has shown strong support in recent years for two major investigative initiatives strongly resisted by powerful forces that prefer to keep the 9/11 probes closed. One such victory was release of the so-called "28-pages" that had been suppressed from the 2002 Joint House-Senate Intelligence Commission Inquiry report. The released material documented suspicious pre-9/11 relationships by Saudi Arabian entities with some of the 19 accused airplane hijackers, 15 of whom were Saudi nationals. 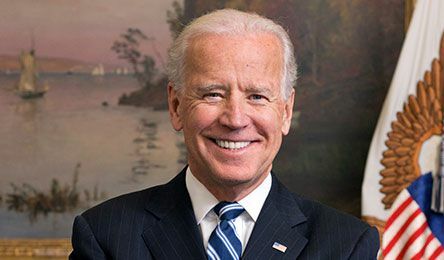 The other victory was congressional passage in 2016 of the Justice Against Sponsors of Terrorism Act (JASTA), which narrowed defendants' protection via sovereign immunity for civil court claims resulting from domestic terrorist acts by foreign governments on U.S. soil. In that spirit, the public as well as the media was invited to the press conference Tuesday on the steps of City Hall in lower Manhattan. Lawyers' Committee Executive Director Harrison and other attorneys on the Committee's board are also scheduled for discussion of the petition on several major radio programs, including "The Gary Null Show" on April 11 and Richard Hoagland's "The Other Side of Midnight" at midnight Eastern time on April 14. Andrew Kreig and Barbara Honegger appeared on April 10 on People's Internet Radio, hosted by Catherine Watters, and Kreig appeared also April 12 on The Phil Mikan Show in Connecticut..
For anyone who worries that progress seems too slow on such issues as 9/11 accountability, the good news is that compelling 9/11 evidence is now in the right hands — the U.S. attorney's office and yours, as members of the public. C-SPAN, Richard Gage, Architects and Engineers for 9/11 Truth describes engineering of WTC 7 collapse on Sept. 11, 2001, Aug. 1, 2014 (40:12 mins.). Host Peter Slen interviews Richard Gage, founder of Architects & Engineers for 9/11 Truth, which claimed that the World Trade Center was brought down by explosives. Press for Truth, 911 Victim's Father Bob McIlvaine Is On A Quest For Justice, Dan Dicks, Sept. 10, 2016 (13:31 mins.). Robert McIlvaine has a lot to say about the cover up of the true nature of his son Bobby McIlvaine's death. The 26 year old aspiring writer was working in the north tower of the world trade center on the morning of the September 11th attacks in 2001. 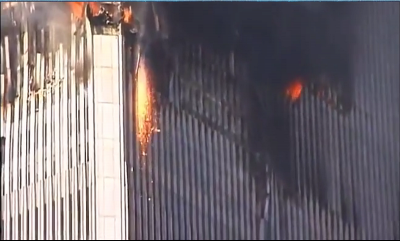 The official narrative from the government puts Bobby on the 106th floor and claims that he died due to the impact of the airplane but Bob continues to point out that the evidence suggests that Bobby died due to an explosion while entering the lobby prior to the first plane hitting the tower. Architects & Engineers for 9/11 Truth, Solving the Mystery of Building 7, Narrated by Ed Asner (14:59 mins. ), Join actor, Ed Asner and Architect Richard Gage, AIA and Architects & Engineers, as they narrate an unfolding story that decimates the official account of the destruction of WTC-7, a 47 story high-rise which collapsed on the afternoon of September 11, 2001 in less that 7 seconds at free-fall acceleration for a third of its fall. OpEdNews, Lawyers Petition DoJ Demanding 9/11 Grand Jury Investigation of WTCs 1, 2 and 7 (Updated), Andrew Kreig, April 9, 2018. A federal grand jury should investigate the collapses of the World Trade Center Twin Towers during the 9/11 attacks, as well as WTC 7, according to a petition that an expert lawyers group filed on April 10 in New York City's federal court. The 54-page petition and its 57 exhibits detail the evidence that explosives were used to destroy the WTC buildings during the attack on Sept. 11, 2001. The non-profit Lawyers' Committee for 9/11 Inquiry demands that the U.S. attorney's office for the Southern District of New York convene and submit the evidence in the petition to a grand jury. The petition's executive summary and full text are posted on the Lawyers' Committee website. Global Research, 9/11 Truth: Grand Jury Investigation of Collapse of WTC Twin Towers and Building Seven, Andrew Kreig, April 10, 2018. Lawyers to Petition the US Department of Justice. 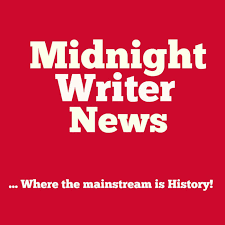 (Reprint from OpEdNews.) A federal grand jury should investigate the collapses of the World Trade Center Twin Towers during the 9/11 attacks, as well as WTC 7, according to a petition that an expert lawyers group plans to file on April 10 in New York City’s federal court. 9/11 Truth Action Project, Lawyers' Committee for 9/11 Inquiry Just Petitioned the DoJ, Demanding 9/11 Grand Jury Investigation of WTCs 1, 2 and 7, Andrew Kreig, April 11, 2018. This article was originally posted on OpEd News, please go there and like and comment on this article there. A federal grand jury should investigate the collapses of the World Trade Center Twin Towers during the 9/11 attacks, as well as WTC 7, according to a petition that an expert lawyers group plans to file on April 10 in New York City's federal court. 5th Estate (Indonesia), Andrew Kreig: Readers React To Lawyers Petition To DOJ Demanding 9/11 Grand Jury Probe Of WTC 1, 2 and 7 Explosion Data, Editing and graphics by Robert Finnegan, April 15, 2018. Slowly the veil is being pulled back on 9/11 truth. A federal grand jury should investigate the collapses of the World Trade Center Twin Towers during the 9/11 attacks, as well as WTC 7, according to a petition that an expert lawyers group filed on April 10 in New York City's federal court. 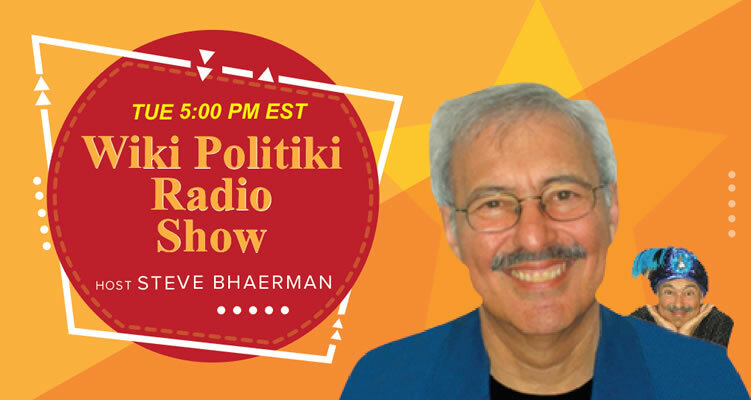 Wiki Politiki, The Latest REAL News on the 9/11 Attacks and Finding Truth in a Sea of Lies, Steve Bhaerman, 5 p.m., Dec. 18, 2018. 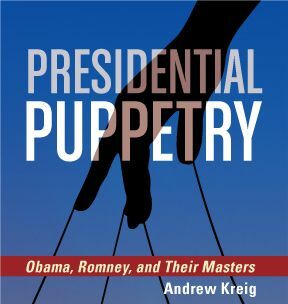 An Interview with Andrew Kreig, Author, Attorney, Broadcaster and Founder of the Justice Integrity Project. Did you know that In a letter dated November 7, 2018, the U.S. Attorney for the Southern District of New York notified the Lawyers’ Committee for 9/11 Inquiry that he would comply with the provisions of 18 U.S.C. § 3332 requiring him to present to a special grand jury the Lawyers’ Committee’s reports filed earlier this year of unprosecuted federal crimes at the World Trade Center? Which is why this latest development might be a genuine breakthrough. 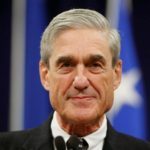 It means a 23-member grand jury, vested with subpoena power and the authority to take sworn testimony, will hear the voluminous evidence of the World Trade Center’s demolition and will have the ability to conduct a thorough investigation that could result in indictments against suspected individuals — in other words, what the 9/11 Truth Movement has been working toward for 17 years. 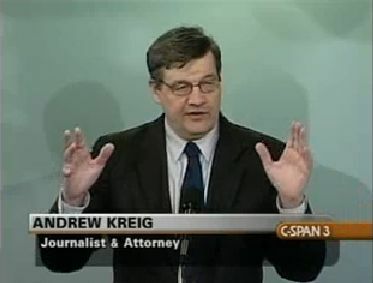 Our guest this week on Wiki Politiki, journalist and author Andrew Kreig (pronounced “Craig”) will discuss his own involvement with the Lawyers Committee, as well as his work through his own organization, the Justice Integrity Project. Lawyers’ Committee for 9/11 Inquiry, U.S. Attorney Agrees To Comply With Federal Law Requiring Submission To Special Grand Jury Of Report By Lawyers’ Committee and 9/11 Victim Family Members of Yet-To-Be- Prosecuted 9/11 Related Federal Crimes, Mick Harrison (Lawyers Committee litigation director), Nov. 26, 2018. 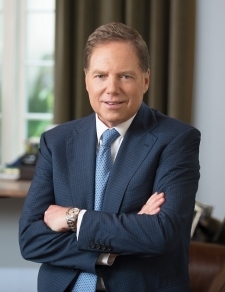 U.S. Attorney Geoffrey Berman (shown below at right) wrote on 7 November that his office will comply with the Lawyers’ Committee’s Petition. The Lawyers’ Committee for 9/11 Inquiry, a nonprofit public interest organization, announces its receipt of a letter from the U.S. Attorney for the Southern District of New York in response to the Lawyers’ Committee’s April 10, 2018 Petition and July 30, 2018 Amended Petition demanding that the U.S. Attorney present to a Special Grand Jury extensive evidence of yet-to-be-prosecuted federal crimes relating to the destruction of three World Trade Center Towers on 9/11 (WTC1, WTC2 and WTC7). The U.S. Attorney, in his November 7, 2018 letter to the Lawyers’ Committee, stated: “We have received and reviewed The Lawyers’ Committee for 9/11 Inquiry, Inc.’s submissions of April 10 and July 30, 2018. We will comply with the provisions of 18 U.S.C. § 3332 as they relate to your submissions” (emphasis added). The U.S. Attorney’s letter does not spell out the steps that will be taken to comply, but 18 U.S.C. § 3332 is clear as to what these steps must be. The Lawyers’ Committee’s April 10th 52-page original Petition was accompanied by 57 exhibits and presented extensive evidence that explosives were used to destroy three WTC buildings. That evidence included independent scientific laboratory analysis of WTC dust samples showing the presence of high-tech explosives and/or incendiaries; numerous first-hand reports by First Responders of explosions at the WTC on 9/11; expert analysis of seismic evidence that explosions occurred at the WTC towers on 9/11 prior to the airplane impacts and prior to the building collapses; and expert analysis by architects, engineers, and scientists concluding that the rapid onset symmetrical near-free-fall acceleration collapse of three WTC high rise buildings on 9/11 exhibited the key characteristics of controlled demolition. The Lawyers’ Committee’s July 30th Amended Petition addresses several additional federal crimes beyond the federal bombing crime addressed in the original Petition. The Lawyers’ Committee concluded in the petitions that explosive and incendiary devices preplaced at the WTC were detonated causing the complete collapse of the WTC Twin Towers on 9/11 and increasing the tragic loss of life. Lawyers' Committee for 9-11 Inquiry, DoJ Petition Demanding 9/11 Grand Jury Investigation of New Evidence To Hold Press Event at New York City Hall April 10th, April 9, 2018. On Tuesday April 10, 2018, the Lawyers' Committee for 9-11 Inquiry (LC), a nonprofit public interest organization, will file a Petition with the U. S. Attorney for the Southern District of New York demanding that he present to a Grand Jury the extensive evidence contained in the Petition of so-far-unprosecuted federal crimes relating to the destruction of three World Trade Center Towers on 9/11 — WTCs 1, 2 and 7. YouTube, Lawyers' Committee For 9/11 Inquiry Serves Petition Press Conference, Director Joe Friendly, April 10, 2018 (20:18 video). Moderator Les Jamieson introduces speakers at presentation at the press conference. They include Lawyers' Committee Board members Julio Gomez and Dave Meiswinkle. The petition provides substantial evidence the collapses were result of explosives and incendiaries placed in the building months before 9/11/01. Architects & Engineers for 9/11 Truth, Lawyers and Victims’ Families File Petition for Federal Grand Jury Investigation, Ted Walter, April 11, 2018. Yesterday morning, attorneys from the Lawyers’ Committee for 9/11 Inquiry, together with more than a dozen family members of 9/11 victims, filed a petition with the interim U.S. Attorney for the Southern District of New York, Geoffrey S. Berman, demanding that he present evidence of unprosecuted federal crimes at the World Trade Center on September 11, 2001, to a special grand jury. 9/11 Truth Action Project, Opinion: Tripartite Attack on Syria: Another Stepchild of 9/11, 9/11 TAP Staff, April 14, 2018. Government and Mainstream Media Willfully Misinform. The April 14th attack by the United States, Britain and France against the sovereign state of Syria is another troubling incident stemming from the failure of a mainstream media that has not been called to account for their failure to expose the true facts about 9/11. This attack can only have occurred in an environment in which decisions are made based on the ability to control the media – not the facts. One year ago in April 2017, the United States launched 59 cruise missiles in response to an alleged use of chemical weapons by the Syrian military. This latest attack launched twice as many cruise missiles as a year ago. This current example of misinformation, orchestrated by the government and mainstream media, is only possible because of the failure to hold the U.S. government and it's allies to account for 9/11. Continuing failure to hold the U.S. Government to account for 9/11 can only mean that the poor people of counties like Syria, Yemen, Iraq, Afghanistan, Pakistan and Libya, and will continue to suffer, even though they pose no threat to the United States. The reason for the attack, as trumpeted through the media, was that the Assad government had used chemical weapons against its citizens on April 7th in the city of Douma. Immediately after the incident before any investigation could be carried out, the US and its allies accused the Assad government of being behind the alleged attack and started drawing up plans for a military action. The US has brazenly declared that they have proof that the Syrian government, under the direction of Bashar al-Assad, conducted a chemical attack on the town of Douma, ten kilometers out of Damascaus, and that they have a "very high confidence" in their "evidence." Moreover, Russia is "part of the problem" because of its "failure to stop them", and their "continued distraction on this front" exacerbates the issue, according to White House Press Secretary Sarah Huckabee Sanders. Additionally, the State Department's spokesman Heather Nauert is issuing the declaration that "the Syrian government was behind the attack" at a press briefing. However, none of the tripartite attackers has provided any evidence to support such a claim. 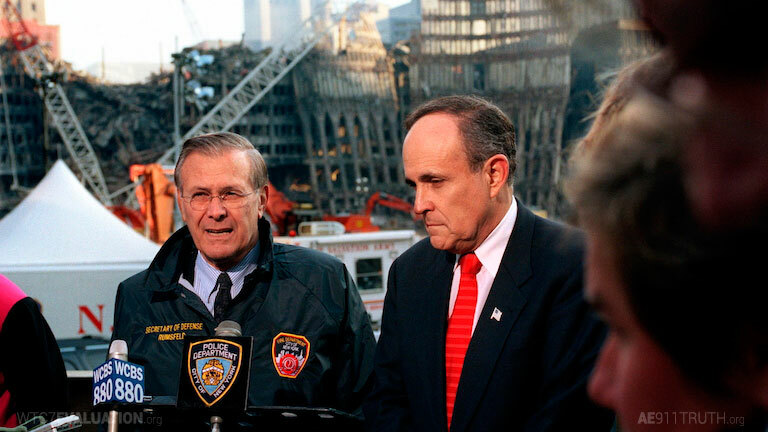 The purpose of publishing the article on that date was to provide well-sourced information supporting the claim that New York City Mayor Rudolph Giuliani’s role in destroying the WTC evidence was “well-documented” — a claim we made in an accompanying news article, “Lawyers and Victims’ Families File Petition for Federal Grand Jury Investigation,” on the same day. The larger reason for publishing the technical article was to clarify exactly who was responsible for destroying the WTC steel. The destruction of this evidence is widely known in the 9/11 Truth movement, but many are unaware of who actually carried it out. For example, some mistakenly believe the evidence was destroyed by FEMA, the government agency that conducted the first investigation. Furthermore, we wanted to counter any suggestion that the destruction of evidence was simply an innocent action that had the unintended consequence of preventing a proper forensic investigation. Indeed, the public record establishes very clearly that the destruction of evidence was deliberate and was carried out in direct defiance of requests by official investigators for the steel to be saved. The destruction of evidence then continued for several months, despite outcry by 9/11 families and members of the fire safety community. The record also identifies four individuals who were most responsible for ordering and carrying out the recycling of the steel: Mayor Rudolph Giuliani, NYC Department of Design and Construction (DDC) Commissioner Kenneth Holden, DDC Deputy Commissioner Michael Burton, and engineering advisor Richard Tomasetti of Thornton-Tomasetti Engineers. In New York State, hindering prosecution of a class A felony (such as first degree murder) by way of destroying physical evidence is a class D felony and has a statute of limitations of three years. 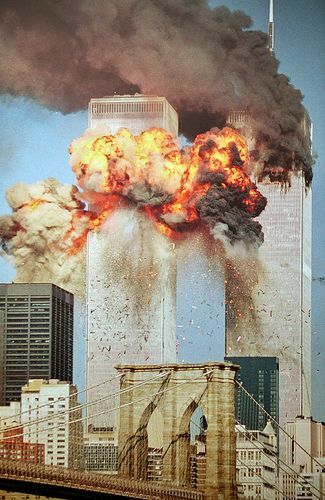 However, a strong argument can be made that the offense has not yet been discovered because prosecutors and the larger public have still not recognized, almost seventeen years after the crime, that the Twin Towers were destroyed by controlled demolition (in part because the offenders’ destruction of the physical evidence had its intended effect). Thus, the destruction of physical evidence at the World Trade Center is likely to remain prosecutable beyond the point in time when it becomes widely recognized that the Twin Towers were destroyed by controlled demolition — whenever that may be. We invite you to read the article, Documenting the Destruction of Physical Evidence at the World Trade Center, Ted Walter, Tony Szamboti, and Dennis McMahon, April 11, 2018. Editor’s Note: This article was originally written as a letter to Manhattan District Attorney Cy Vance as part of a four-week letter writing campaign by the NYC Coalition for Accountability Now (NYC CAN) in 2010. Each week, hundreds of activists participated in mailing identical letters to the District Attorney in an attempt to get him to investigate the unpermitted demolition of World Trade Center Building 7. This, the fourth and final letter of the campaign, presented carefully sourced, publicly available information on the illegal destruction of physical evidence, with a focus on identifying individuals most responsible for ordering and carrying out the recycling of the structural steel. 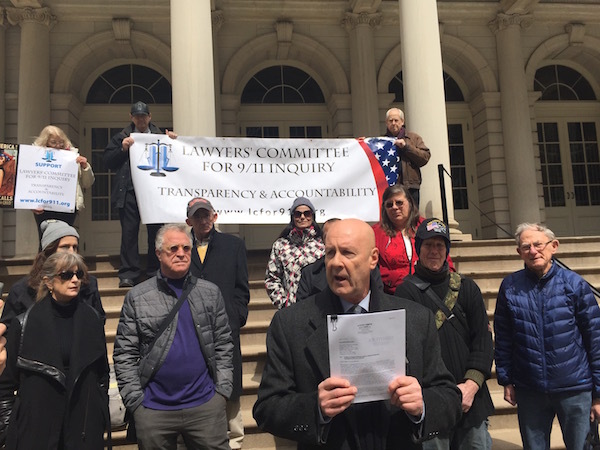 Dave Meiswinkle, Esq., of the Lawyers’ Committee for 9/11 Inquiry, at a press conference on the steps of New York City Hall, holds the petition just filed on April 10 with the U.S. Attorney for the Southern District of New York. WestView News / The Voice of the West Village, Opinion: Grand Jury Should Investigate World Trade Center Explosions On 9/11, Lawyers’ Committee for 9/11 Inquiry, June 5, 2018. 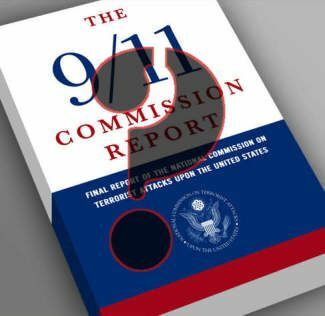 According to its report, the 9/11 Commission had a “sweeping” mandate to investigate the terrorist attacks of September 11, 2001. It was supposed to provide the fullest possible account of the events surrounding 9/11, and to identify lessons learned. But no matter how noble its purpose, the Commission was “set up to fail,” according to Commission Co-Chairs Thomas Kean and Lee Hamilton. 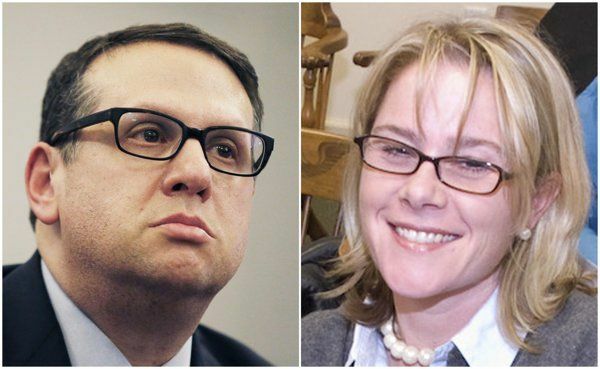 The Commission was woefully under-funded, working under an unreasonable deadline, denied access to sensitive information, and faced continuous opposition and resistance from the very agencies whose cooperation was needed most. Case in point: despite 567 pages, the report never mentions the destruction of the Salomon Brothers Building — WTC 7 — much less explains how a 47-story building, never hit by a plane, with only a few reported fires, came down symmetrically on its own footprint at near free-fall acceleration only hours after the attacks. According to 9/11 opinion polls, substantial numbers of Americans question the official story or believe the government failed to investigate or tell the public the truth. Zogby International found that 43% of Americans are not aware of WTC 7’s collapse; 38% of those who are aware believe the 9/11 Commission should have investigated its destruction; 45% believe the attacks should be reinvestigated; and 42% believe that the government and the 9/11 Commission concealed or refused to investigate critical evidence that contradicts the official story. On April 10th, 2018, the Lawyers’ Committee for 9/11 Inquiry—a nonprofit public interest organization supported by 9/11 victim families, architects, engineers, scientists and concerned citizens—filed a petition with the U.S. Attorney for the Southern District of New York, Geoffrey S. Berman. Pursuant to federal law, 18 U.S.C. § 3332(a), the petition demands the Department of Justice present to a special grand jury extensive evidence that pre-placed explosives detonated at the World Trade Center on 9/11 caused the destruction of the Twin Towers and WTC 7. WestView News / The Voice of the West Village, Opinion: Does a Conspiracy Theory Hide a Conspiracy? George Capsis, June 5, 2018. Dusty won’t even look at the headlines of the Times let alone read it. She scans the alternate media on her iPhone while occasionally glancing up at the CBS six o’clock news. So, it is not too surprising that she is deeply submerged in a theory that it was more than a handful of Muslims seeking martyrdom, in two hijacked passenger planes, that brought down all those buildings on 9/11. No, it was much bigger than that — it was a conspiracy. Yes, well, some of us feel that if once you accept the conspiracy theory, there is no stopping — it goes all over the place, even (in this case, according to some) the White House.